Experience the Icelandic spring and the outstanding nature! Season: Mid-March - May 2019. Duration: 7 days / 6 nights. Price from 151,280 ISK per person, based on double occupancy. Pick-up your rental car at Keflavik International Airport. 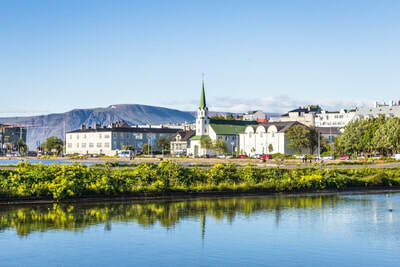 we recommend you to begin your Iceland experience by exploring the Reykjanes peninsula, where you'll find the GeoPark (Gardur, Grindavik, Reykjanesbaer, Sandgerdi and Vogar), Reykjanes continental bridge, Kleifarvatn and the hot spring Gunnuhver. 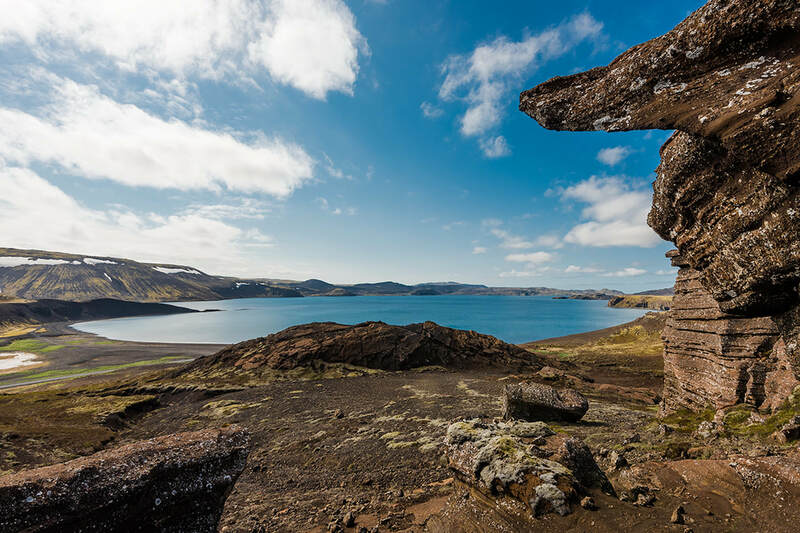 An alternative option is to go bird watching at the tip of Reykjanes, take a walk on the beach Selartangar and go visit the Viking museum Vikingaheimar. It's also great to take a dip in the swimming pool in Reykjanes. Overnight stay at hotel at the Reykjanes peninsula. Your first stop is at Thingvellir National Park. Thingvellir is an amazing site, steeped in history and folklore, and surrounded by incredible geology. Thingvellir is the only place on earth which tectonic plates can be seen above ground. Next stop is Geysir Geothermal Area which is dotted with many hot pools, clay pots, and fumaroles, and the hills and soil are colored vividly by the minerals of the earth. It would be a fascinating enough site even without the two geysers that make it famous. Your Third stop is Gullfoss waterfall which is located in a plunging, ancient valley, this powerful falls tumbles down two drops, from an overall height of 105 ft. At its heaviest flow during summer, an average of 459 cubic feet of water pours down it every second. Your last stop for the day is Laugarvatn Fontana - What is better than end the day at a Spa? Overnight stay in Hveragerdi area. 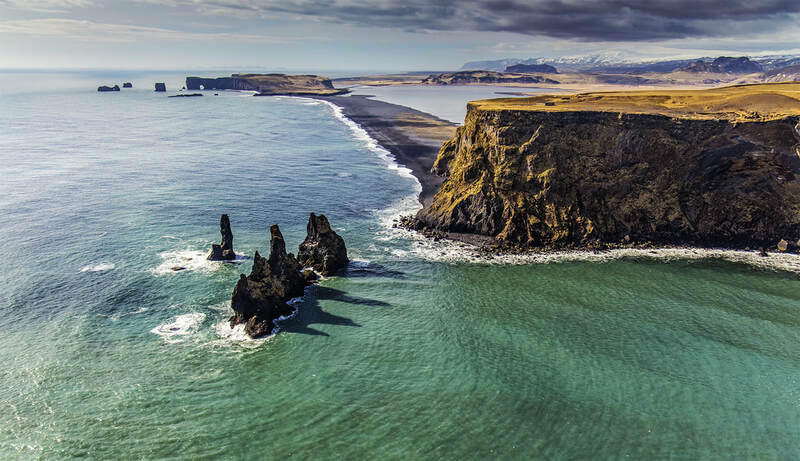 At Reynisfjara beach, a black sand beach and seabird colonies (puffins, fulmars, and guillemots), you'll see Reynisdrangar, pillars of rock rising majestically out of the ocean. Overnight stay in Vik area. 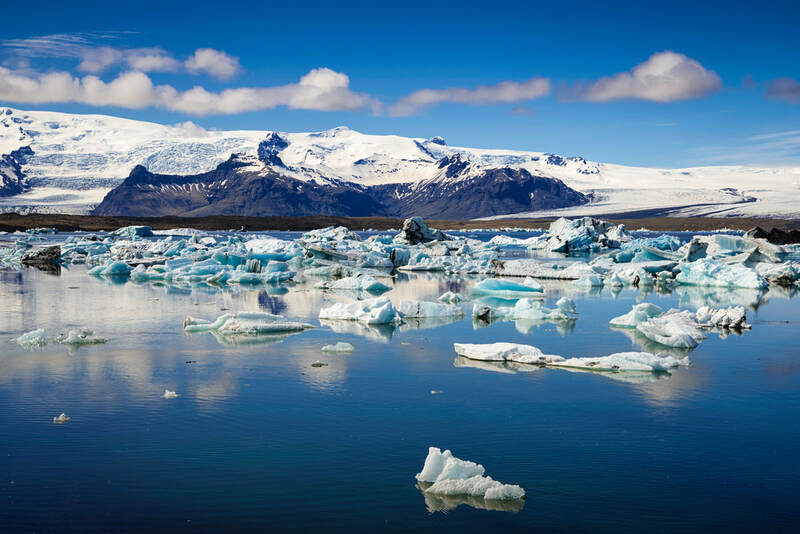 Jokulsarlon is a fantastic area to capture memories with photographs and enjoy the surreal atmosphere. Huge blochs of ice constantly break off the glacier and large icebergs float on the lagoon. Optional: Take a boat tour between the drifting icebergs in the lagoon. Overnight stay in Hofn area. Drive along the south coast back to Vik. On the way, make a stop at Skaftafell, a beautiful glacier ringed green oasis within Vatnajokull National Park. There are many great hiking trails in Skaftafell, including a short hike to Svartifoss waterfall surrounded by beautiful columnar basalt. Overnight in Vik area. Spend your last day by enjoying downtown Reykjavik. Explore the history of Reykjavik by visiting museums, Hallgrimskirkja church and Harpa Music Hall & Conference center. In the evening it's great to take a stroll down Laugavegur and explore restaurants, bars and different boutiques. Overnight in Reykjavik. Optional: A wonderful way to say goodbye to Iceland is with a relaxing dip in the soothing waters of the Blue Lagoon Geothermal Spa, located just 20 minutes from Keflavik International Airport. 1 night at hotel in Reykjanes, including breakfast. 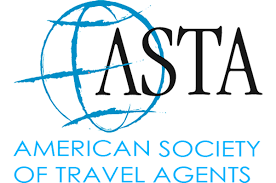 4 nights at hotel in South Iceland, including breakfast. 1 night at hotel in Reykjavik, including breakfast. Rental car for 7 days, unlimited mileage, CDW, VAT, theft protection and airport service fee.